The Domain, Austin's premier retail destination, offers 100 stores and restaurants in a unique outdoor setting. With lush landscaping, custom art elements, children's play areas, an event lawn and regularly scheduled live music, the center offers a uniquely Austin experience. The shopping center features a mix of luxury and high-end retailers, as well as traditional stores, almost half of which are exclusive to the shopping center within the Austin market. Impeccable retail selections like Neiman Marcus, COS, Ted Baker, David Yurman, Louis Vuitton and Tiffany & Co. complement favorite brands like American Eagle Outfitters, Banana Republic, Express, Forever 21, H&M, J. Crew and ZARA. With four on-site hotels, a plethora of restaurants and the city's finest shopping, The Domain offers everything needed to shop, stay and play all in one location. Additionally, the center's convenient north Austin location, just 15 minutes from downtown, also offers the opportunity to explore all Austin has to offer – nightlife, live music, festivals and so much more. 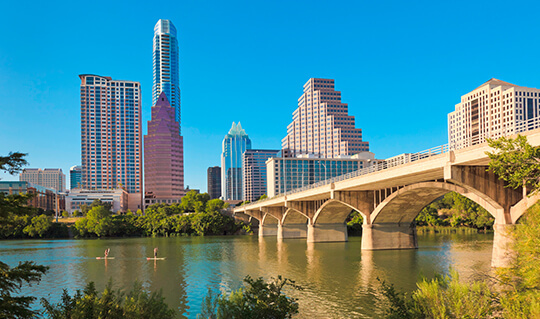 From the neighboring Texas Capitol building to Lake Travis, Austin is well versed in entertainment and leisure. Sports fans should check out The University of Texas' dynamic stadiums for football, basketball and baseball all centrally located in the heart of Austin. Lovers of all things outdoors will want to visit Zilker Park and the Lady Bird Lake Hike and Bike Trail. Not only is Austin home to world-class museums like the Blanton, with the nation's largest university-owned collection on exhibit, Austin is also home to plenty of artists themselves. Visitors can explore the work of designers, painters, sculptors, writers, photographers, filmmakers, dancers and musicians, any day of the week, in a variety of venues like Arthouse at the Jones Center, Mexic-Arte Museum, Carver Museum and The Bob Bullock Museum. Savor the flavor of the area and choose from a wide variety of local dining options for all ages just down the road from the shopping center. No matter what your tastebuds are craving, you're sure to find exactly what you're looking for close by. The shopping center offers more than one dozen restaurants to suit a variety of tastes. The amazing array of restaurants within The Domain includes nationally recognized selections like Maggiano's, California Pizza Kitchen, Fleming's Prime Steakhouse & Wine Bar, Grand Lux Cafe, Kona Grill, North Italia, plus local and regional favorites like CRU Wine Bar, Gloria's, Copper Restaurant & Dessert Lounge, Xian Noodle and Sushi Zushi, among others. North Austin, the area surrounding the shopping center, features an excellent selection of restaurants as well. 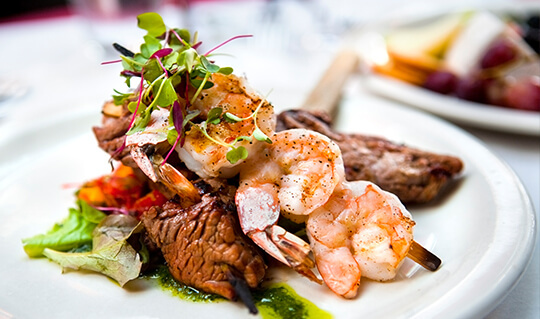 Local favorites include Chez Zee, Fonda San Miguel, Z'Tejas and The Roaring Fork. The Domain itself offers a vast array of amenities, including live music in the park and on the plaza, custom play elements, a fireplace and a lawn area, as well as entertainment venues The Brass Tap Craft Beer Bar, iPic Theaters and Punch Bowl Social. Guests can enjoy a late night “reverse” happy hour at many of the restaurants and salsa dancing at Gloria's on Saturday nights. Adjacent to the shopping center, the Rock Rose district brings downtown uptown. 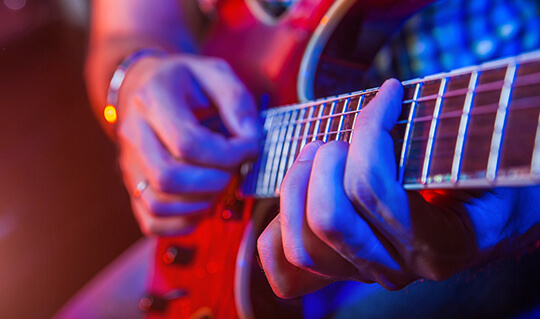 Austin is perhaps most famous for its legendary music and nightlife scene, including nearly 200 venues that feature everything from rock and blues to country and jazz every night of the week. Downtown Austin is only a few miles away where guests can enjoy all the 6th Street action. Likely Texas' best known street, the seven blocks of 6th Street between Congress and IH 35 are certainly Austin's entertainment. If you're interested in making The Domain your next vacation destination, there are a wide variety of accommodation options to choose from for everyone, including the leisure traveling family, the girls for a weekend of fun and even business travelers. If you're planning on staying in The Domain area, check out Westin Austin at The Domain. 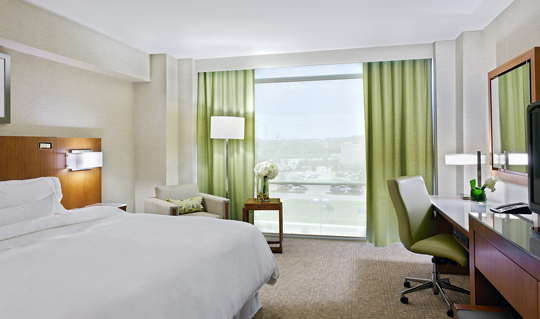 The Westin offers lush hotel accommodations in a vibrant setting with AAA 4-Diamond rooms and suites. They also offer a variety of creative cocktails and classic American cuisine with a Texas flair at Urban, their inviting restaurant and lounge. Other accommodation options at The Domain include The Archer Austin, an eight-story boutique hotel with 171 luxe guest rooms and suites, a coveted patio culture, and a sincere staff dedicated to your service. The Archer Austin is also home to the acclaimed Second Bar + Kitchen with celebrated chef David Bull. At Aloft Austin, a boutique hotel at The Domain, guests can enjoy amenities like the w xyz(SM) bar, re:fuel by Aloft(SM) - a 24/7 pantry - or play in the re:mix (SM) lounge. Across Dillard’s at The Domain is the Lone Star Court by Valencia Group, a boutique hotel featuring an aesthetic epitomizing Austin and Texas Hill Country. If you want a more historic option, try The Driskill Hotel, situated in the heart of Austin's famous Sixth Street. Additional options located in downtown Austin include Four Seasons Hotel Austin, Hotel San Jose and W Austin. Take I-35 South, exit TX-45 Toll West, travel 0.5 mile and exit TX-1 Toll South. Merge on to Loop 1 / Mopac South. Exit at Duval/Burnet Rd and continue on Mopac Service Rd and take a slight right onto Esperanza Crossing to enter the mall. Take Loop 1/Mopac North, then take the exit towards Capital of TX Hwy / Braker Ln. Merge onto Mopac Service Rd and take a right on to Braker Ln. Use the left two lanes to turn on to Domain Dr. and follow into the mall. Turn left to merge on to TX 71 W. Use the right lane to take the ramp onto US-183 North / Lampasas and continue on US-183 North for 11 miles. Take the Loop 1 exit toward Mopac Blvd, keep right, and follow signs for Capital of TX Hwy / Braker Ln. Merge onto Mopac Service Rd and take a right on to Braker Ln. Use the left two lanes to turn on to Domain Dr. and follow into the mall. Take IH-35 North and exit 240B to merge onto US-183 North. Take the Loop 1 exit toward Mopac Blvd, keep right, and follow signs for Capital of TX Hwy / Braker Ln. Merge onto Mopac Service Rd and take a right on to Braker Ln. Use the left two lanes to turn on to Domain Dr. and follow into the mall. Transportation is available from Downtown Austin to The Domain using Capitol Metro’s MetroRapid 803 bus, which stops at The Domain (stop #5919) on Burnet Road. A one-way fare of $1.25, or a day fare of $2.50. Transportation is available from Downtown Austin to The Domain using Capital Metro’s bus route #3, which stops at The Domain (stop #591) on Braker Lane. A one-way fare is $1.25, or a day fare is $2.50.